You are here: Home » Finally, the semblance of a debate with Nora Volkow! Finally, the semblance of a debate with Nora Volkow! 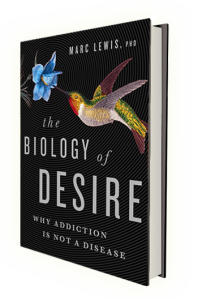 Addiction.com invited Nora Volkow to pit her “disease” argument against my (and others’) “learning” model of addiction. She declined, or at least didn’t agree, but I’m happy to announce that we have finally sort of crossed swords in the Huffington Post Blog network. Here’s her initial post and here’s my response. And I’m really pleased that my response appears on the front page…that column of posts on the left side of the page…next to all that nasty news of the world. I’d love it if we had a chance to engage in this dialogue directly. But…I don’t fault her. She’s an amazingly prolific neuroscientist, as well as an NIH administrator, and she probably gets publicity requests of one kind or another 20 times per day. I’m just glad that we anti-disease campaigners got our foot in that particular door…and I do mean we. Great work Marc! I am really encouraged to see the build-up to your book. I think the timing is perfect and that we will see it becoming a major factor in the slow about-turn in the field of addiction. No surprise. PTSD is in part genetic and requires trauma to trigger it. Appetizer, to be precise. She had forgotten about me by the time she got to the main course. All famous people scare me, I admit, but she more than others. She’s a brilliant scientist who has contributed vastly to the field that I study, she’s hugely powerful politically and economically, she’s absolutely sure-footed in her approach to topics which are usually graded and contentious, and…she’s nice. And people like her. And I like her. And she looks a bit like my mother. Oy gevalt. When did I mention Rat Park? Happen to know the timing of that comment? It was during your talk with the DL– fairly early on i think. Surprised I guess that such powerful science folks werent familiar with it.. The trouble with Rat Park is that it has never been replicated successfully. The other cornerstone of the non-disease (for lack of a better phrase) argument, the returning heroin-addicted Vietnam vets’ spontaneous recovery, is alternatively and adequately explained by state dependent learning or environmental tolerance. I haven’t looked at these, but they are certainly in respectable journals. My reading of the two you mention has to do with risk and protective factors. It’s easy to see how an enriched environment might make the drug less reinforcing because of competing rewards. And conversely how the drug might be more reinforcing in an impoverished one. I don’t see the relevance to whether addiction is a disease. Really?! So your tuberculosis or cancer is going to be a lot more troublesome when you’re alone than when you’re with other people? Maybe it’ll disappear if you just hang out with your pals? I don’t think so…. With Marc’s help I have taken a better look at the brain . and you will too when you read the book– and come to the conclusions that the disease model is not only wrong but dangerous. Now the biggie !!!?? if it isnt,, what is it ?? No, in this book: p. 169. At least that’s a stab at it. Admittedly it’s a tough question. Actually I re read the whole darn thing cause there is so much good stuff in it. Got it, thanks Bill. I do remember now. P.S. Do you think Nora knows that there are over 300,000 peer-reviewed neuroscience studies published EVERY YEAR?! But you’re very right about telling the truth unkindly. I don’t expect we’ll ever debate face to face, but we are often preaching to the same congregation. Thanks for that astute reminder. And of the neuroscience studies related to addiction about 80% are NIH/NIDA funded – WORLD WIDE. I am currently doing an analysis of all peer-reviewed addiction studies conducted in South Africa over the last 7 years to see who is funding what and what fields are being most researched and what kind of research is being done – I am very interested to see what the outcome will be. Shaun, that is an amazing statistic!!!! I’m sure I’ll be using it a lot from here on it. If you have a summary report, please send it along. The disease of free will?? Didn’t Hitler have that? Rhetoric? That’s kind of the problem!… to frame it that way sounds like it’s becoming a civil rights issue. I find that a little inflammatory, but that’s just me. Granted it affects executive control, but mankind has been dealing with the idea of free will since the beginning of time. That’s about attitude, not addiction. and in just the few days ive been thinking about all this , and Marc might be helfpful here, that even the statement that Addiction causes a disease of the brain . What Im saying here is that the known ” changes” in the brain may not be characteristic or different enough , to warrant the term disease. And that is very laden question. It is a very laden question. That was my point about rhetoric. She is a brilliant woman (I have seen her speak) with enormous responsibilities she has to deal ; with various political agendas, funding etc, as has been mentioned. So I was shocked when I saw the title, that’s all I’m saying. I found it disturbingly tangential…especially for her. Habits are learned. They are learned through reinforcement. The more they are repeated the stronger and more automatic and autonomous they become until they can be evoked without consciousness. There are good habits and there are bad habits. Good habits are self-reinforcing: when I practice playing the guitar my guitar playing gets better which motivates me to practice which makes my playing better. . . . I get dopamine at both ends, the motivational and the resultant. Bad habits deplete dopamine or its activity (through down regulation) after an initial surge, motivating the same behavior but in a law of diminishing returns fashion: more gets less. So while motivation may get ramped up (sensitized), result does not. That is why bad habits are pathological. They are a distortion of the same mechanisms responsible for formation of good ones. Nice concise description of addiction. Thanks. How about a pathological distortion? Thanks. Pretty standard disease model stuff I’m afraid. I wish we could stop squabbling and arrive at some consensus that helped more people afflicted with whatever it is get better sooner. In that regard I think that we get further with seeing and treating the addicted as patients rather than as learning disabled. Patients are people who are sick with diseases and need treatment with drugs to cure them or manage their illness by the dictates of the authoritarian doctor!!! It is definitely an interesting take on the problem, Nick. But bad habits (like drug taking) do give you a serious dopamine charge..during the anticipation phase. Admittedly, the result causes a net decrement in dopamine signalling. Do you mean to say that having a sparkling smile and fresh breath aren’t reinforcing? What you call the anticipation phase I called motivational. I agree with Guy that your last line is spot on: “we don’t have to ignore the biology to appreciate its psychology”. I think there is a fear that if we begin to characterize addiction as anything other than a disease, we threaten the financial security of an already tenuous funding situation for NIDA. She has to advocate for government funding, and the disease model has been effective thus far. Altering her stance may not be good politically. Maybe your book will help with a grassroots movement to garner support of a more developmental approach to addiction that STILL NEEDS good neuroscience research in order to make progress. She may change her stance in public media when she realizes a new approach to addiction, away from the pure disease model, will still be politically favorable. I completely agree, Liz. It’s true that people worry, and Volkow worries: how will we get treatment for these people if we don’t stick with the disease definition. First, you can’t solve a scientific problem by trying to untangle an economic problem, actually an economic debacle in a country called the United States….not the paragon of health care in any case. Second, it’s just wrong thinking. How much federal money has been spent on anti-racism, anti-bullying, and other campaigns to control the nasty extremes of human behaviour? Third, there are models of care that are bottom-up or horizontal rather than top-down and expert driven. Some of us think that these models will work far better for addicts, partly because they require self-motivation and empowerment and partly because they build on community support. Both are critical. If the congress says so., doesnt that make it absolutely true?? Nora Volkow? Formidable, whether you agree with her or not. If you could get her to engage that would really be something. She’s probably very very busy. Looking forward to the Kindle release of your book. If you think you have free will, then prove it by planning out the next series of thoughts you’re going to have, and then think them without deviating from your plan. If you can’t choose your thoughts, how can you say you choose what you do? You really can’t, but that’s not the whole story. For example, you might get lucky, like me. I get to practice a little ‘free won’t’ and distract myself here and there. And without free will, I’m actually better off. It’s not about what’s in my brain, it’s about what I put my brain in. My choices still really really matter, even more so, and some habits, like altruism, make beautiful sense to me. Don’t they for you? But wait a second, I forgot what I was doing. Oh yeah, it’s time for my yoga class, which I always do around now. I think. I’m gonna grab a mat and head up onto the roof, see if anybody else shows up. We havent heard from psycho-surgery yet !! Give it to the surgeons,, fix it up fast !! I read a longish book by Harris which I loved. What’s the short one called? Or maybe I read the short one, but slowly. It was called Waking Up…which I’m about to do as soon as I get some coffee, maybe a piece of toast, none of which I thought of until this moment. I love your message about free won’t and self-distraction. Another word for self-distraction is self-programming. Since what you do later isn’t going to be freely chosen, you might as well stack the deck in favour of something useful. Where’s the choice in this matter, I can’t help but ask? P.S. Now I can’t stop thinking about that piece of toast. any way Happy Independence day even if you aren’t American .. I celebrate my freedom and independence from alcohol today ! It’s most interesting to read this dialogue. I have stumbled across Dr. Volkow’s contributions to Neuroscience repeatedly in recent years. She is evidently a rigorous intellectual and diligent scientist/practitioner. However she -as is the case with most of us, to a lesser or greater degree- is not without her ideologies. Thank-you for engaging in this ‘semblance of a debate’. It is much needed within the sphere of the study of addiction. Also, it sheds light on the nature of human development more broadly –relevant amid today’s plethora of myopic popular science literature.